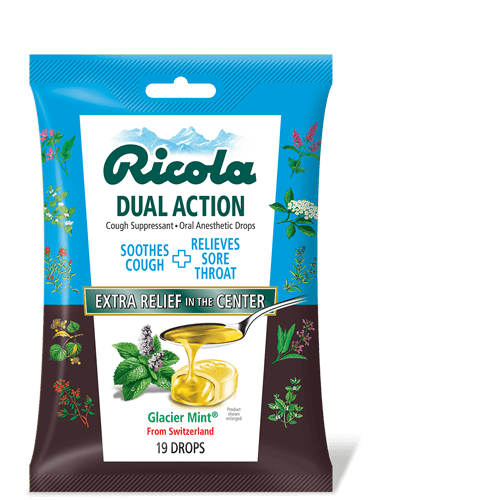 adults and children 6 years and older: dissolve 1 drop slowly in the mouth. Repeat every 2 hours as needed or as directed by a doctor. 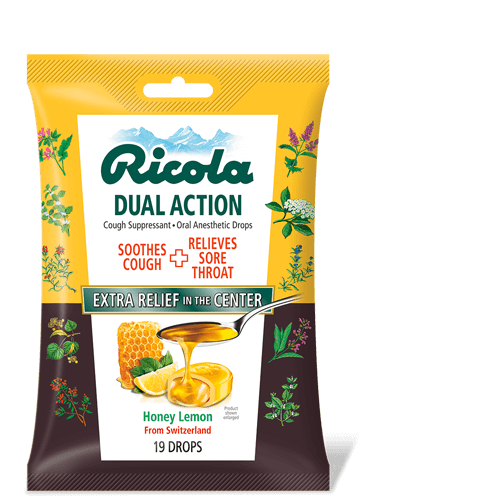 Ricola Dual Action is one drop that offers multi-symptom relief, helping soothe both coughs AND sore throats. Thanks to its liquid center filled with soothing menthol. Our Swiss mountain herbs are added too. So when your throat gets hit with being sick, you really couldn’t ask for more. 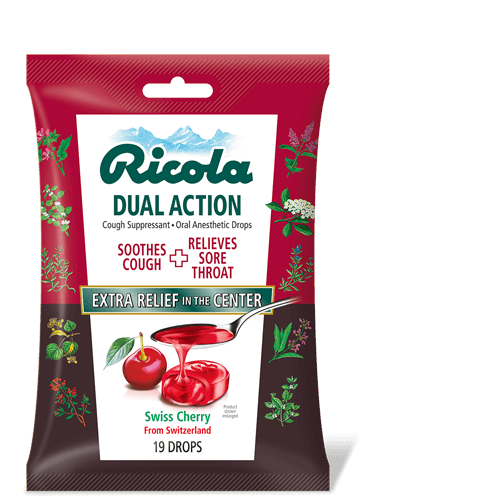 Available in Swiss Cherry, Honey Lemon and Glacier Mint.